amanda mcclements & metrocurean: Who Won Spike's Cookbook? From loads of blue cheese to avocado, fried eggs, jalapenos, pineapple and beef marrow (! 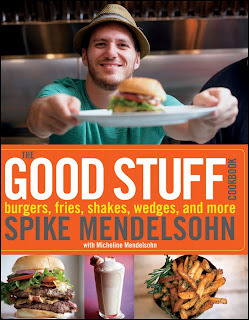 ), y'all dished what you love on top of a burger to try to win a copy of Spike Mendelsohn's new The Good Stuff Cookbook. Congrats, Greg! Please email your address to metrocurean AT gmail.com, and look for your book in the mail! I just got so hungry.